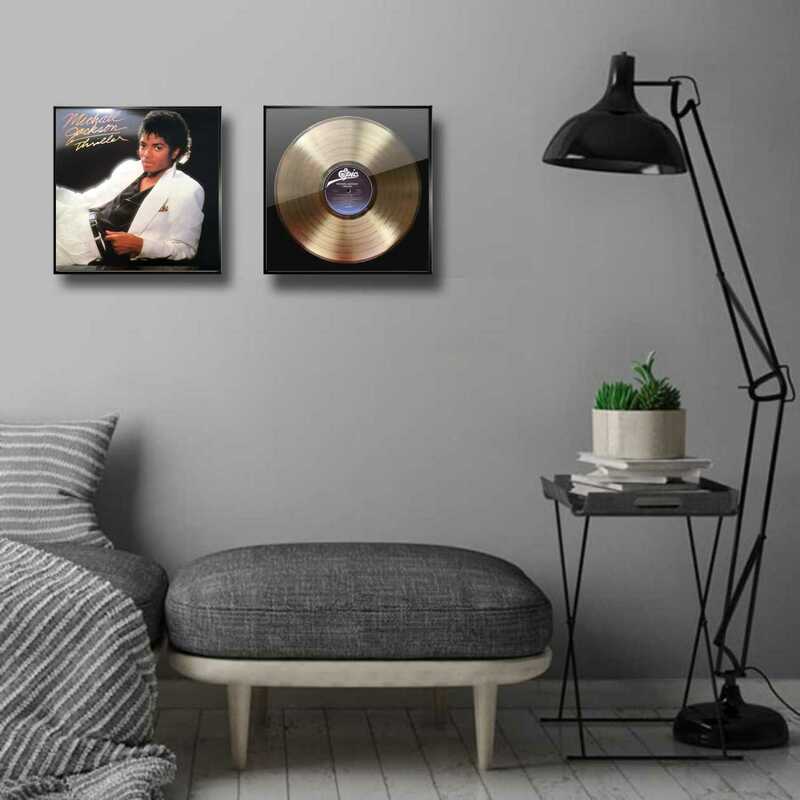 An incredile GIFT IDEA for any MICHAEL JACKSON fan! 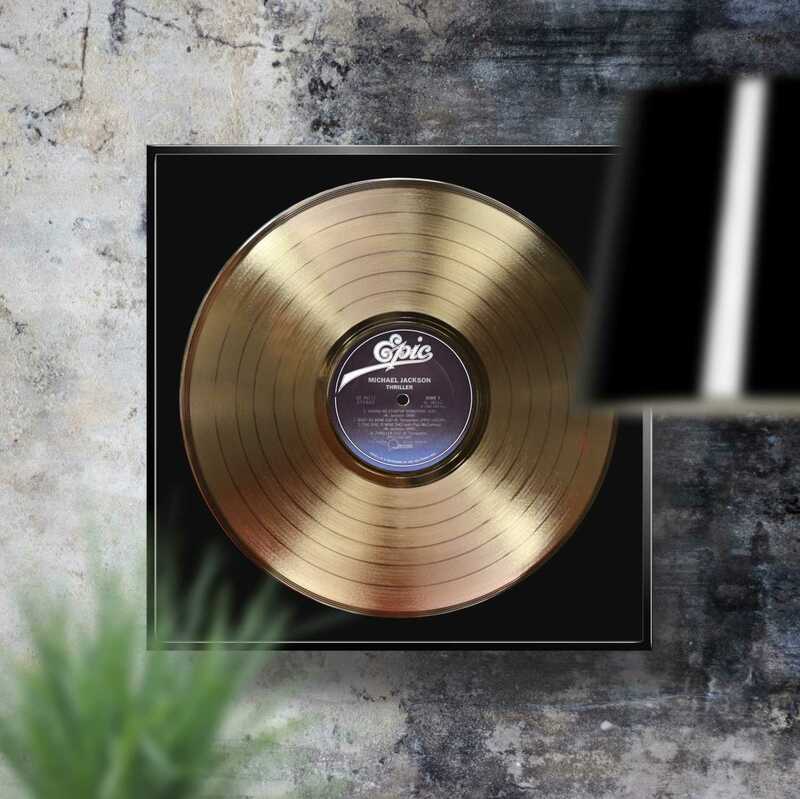 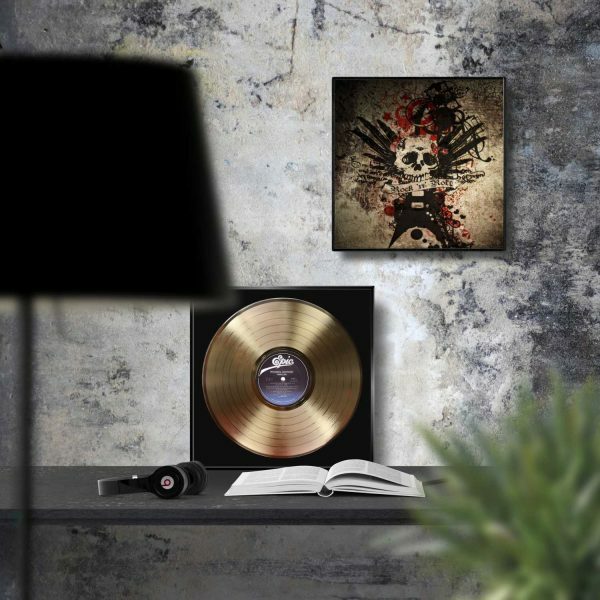 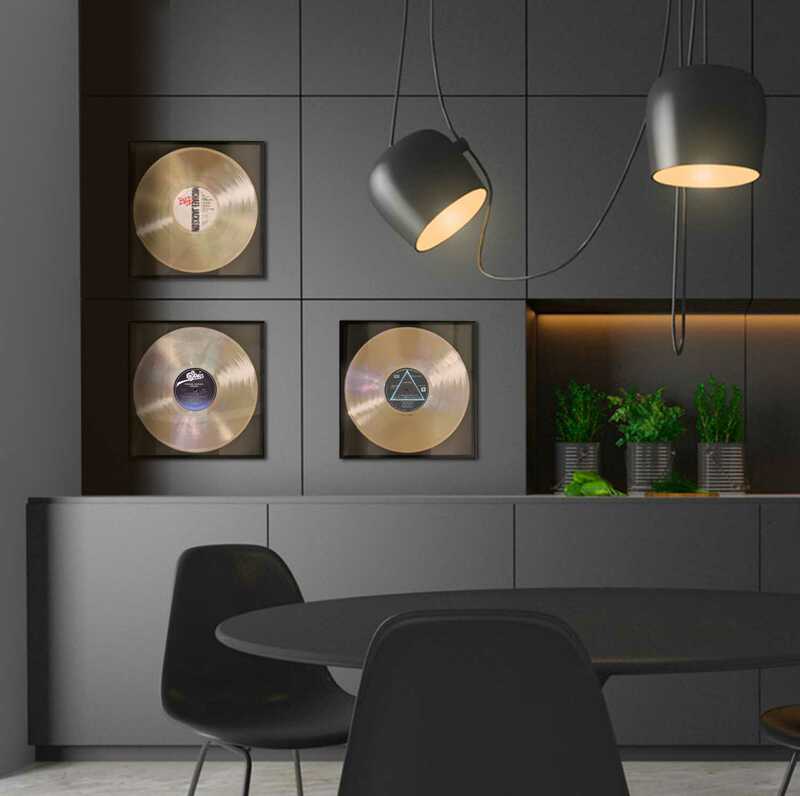 Here is your chance to own a gold plated record from Michael Jackson. 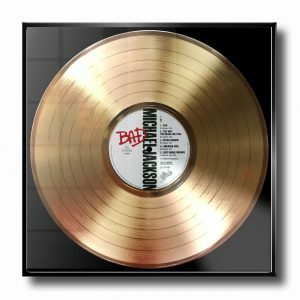 THRILLER: The KING of POP’s best selling album (and the world’s best selling album!). Thriller is the sixth studio album by Michael Jackson, released on November 30, 1982, in the United States by Epic Records and internationally by CBS Records. 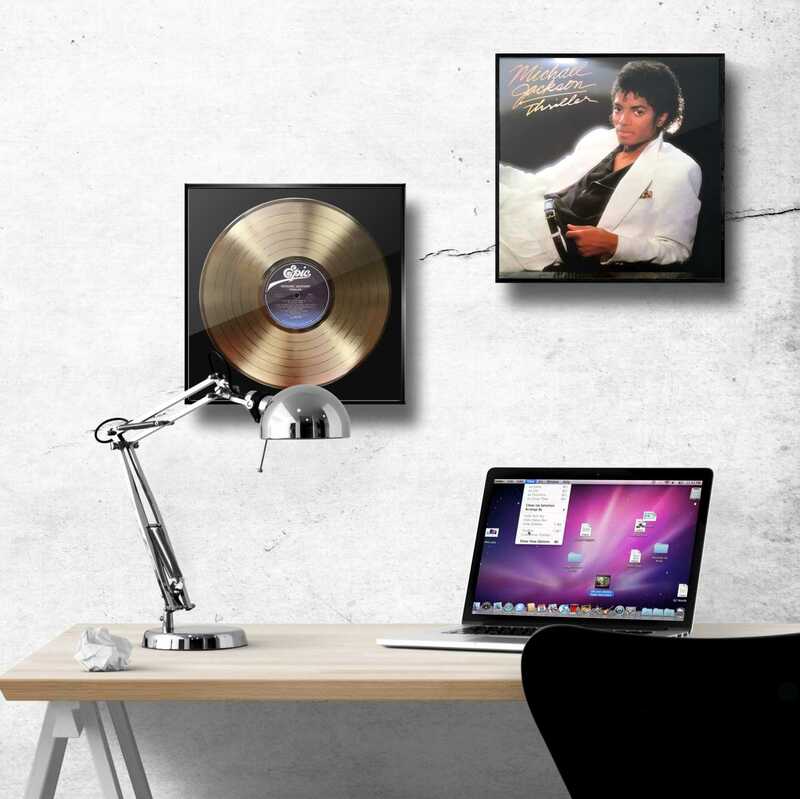 It explores genres similar to Jackson’s previous album, Off the Wall (1979), including pop, post-disco, rock and funk. Recording took place from April to November 1982 at Westlake Recording Studios in Los Angeles, with a production budget of $750,000. In just over a year, Thriller became the world’s best-selling album, having sold an estimated 66 million copies. [nb 1] It is the second-best-selling album in the United States, behind the Eagles‘ album Their Greatest Hits (1971–1975), and was the first to reach 30x platinum, with 33 million shipped album-equivalent units certified in the US. 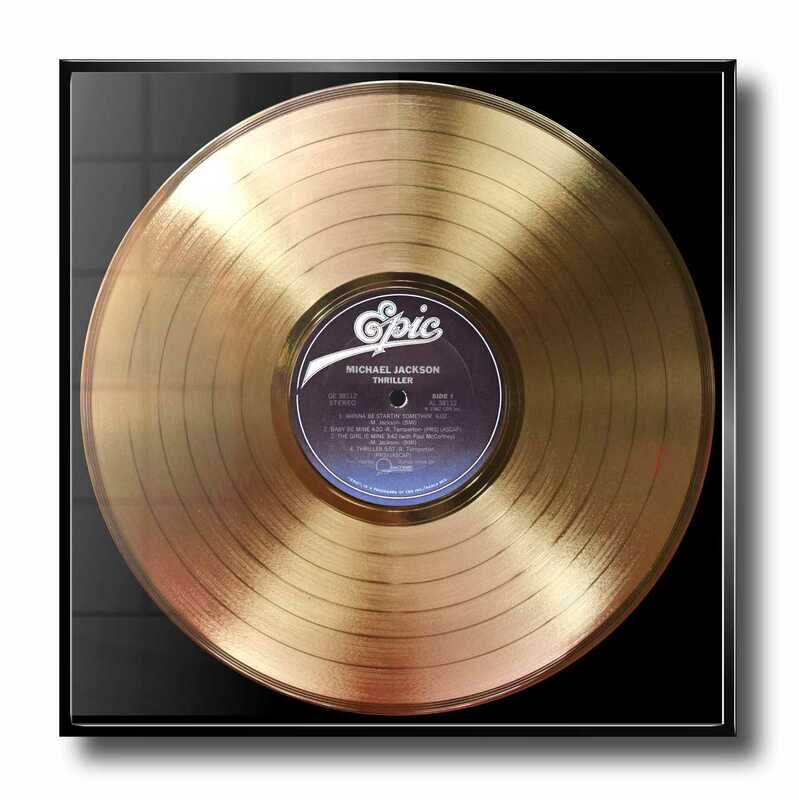 The album won a record-breaking eight Grammy Awards in 1984, including Album of the Year.